Is your name JK Rowling? Stephen King? James Patterson? If so, thanks for visiting my blog! If not, then take heed. Unless you are a household name, you need advertising. I remember a few top notch, award winning novels that came out a couple years ago, only to discover they had joined Amazon’s Millionaire Club. This caught my attention so I hastily looked up other clinching novels I had read over the past 2-3 years, and was shocked that many had achieved the same fate. Apparently, if you don’t actively keep pushing your books, surprise surprise, they stop selling. On the flip side, I released Learning Spring Boot 2.0 2nd Edition back in November, and that book has stayed in the Top 100 for Java development for months. Why? 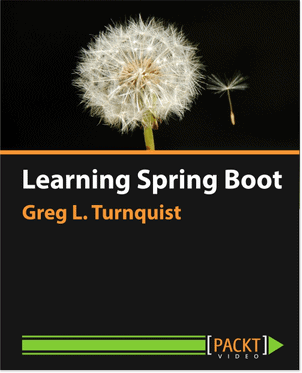 Because if you type “Spring Boot” in Amazon’s search bar, it keeps coming out on top. My publisher is pouring advertising dollars into this book, and it’s working. Resign yourself to the fact you MUST advertise in order to sell your book, and discover it’s possible to actually make some money. I kind of knew this was the case. Deep down, anyway. I had heard about Mark Dawson, a lawyer in the UK that started writing in 2012, became a best selling indie author in 2014, and quit his legal career by 2016 after selling half a million books. He had learned to use Facebook to grow his email list and build a fanbase that would surge each new novel to the top of Amazon’s ranks. So on a “yeah, I get that” kind of level, I understood. But on the “let’s try and run some ads” level, not so much. Back in March I used KDP Rocket for the first time to launch a campaign. I gave up after two weeks and shut it down because after paying Amazon their 30% cut, I was losing money. Enter Brian Meeks. I had learned about this fellow listening to Dave Chesson’s podcast (highly recommend listening to the same episode!) while driving to a meetup in Nashville. Brian Meeks once worked as a data analyst for Geico, but retired to become a full time author three years ago. On the podcast he explained how he was spending $40,000 a year and netting $120,000. He had detailed spreadsheets tracking what worked and what didn’t. 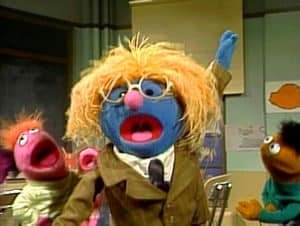 He preached relentlessly about test, test, test. Start small and test. Adjust your ad copy and test. Rewrite the book’s blurb and test. Test, test, test! And at the end of that episode, he revealed the real gold: he had distilled this knowledge in a book, Master AMS Ads, on sale for $9.99. That night I purchased it and read the whole thing in 48 hours. And everything changed. So let’s dive into what it takes to mount an advertising campaign. To get started, you must understand some of the lingo. It’s not that difficult. Impressions – when people see your ad, it’s an impression. Impressions don’t cost you anything. Clicks – when people see your ad and decide to click on through to look at the book’s selling page. Clicks cost money. These three metrics are in fact the most important bits of data to gather about your book. Leveraging these stats is probably the biggest thing you can learn to be successful as an author. Let me repeat: understanding impressions, clicks, and conversions is the biggest thing you can learn to be successful as an author. The world of advertising is built on large numbers. If one person sees your ad, the odds are heavily stacked against you that you’ll complete a sale. The process of selling involves showing people your ad (an impression), that potential buyer being interested in the cover, the title, or your snappy ad copy enough to click, and then being wooed by the book’s description and reviews to buy it. Some common figures are that for every 1000 impressions, one person will actually click. This is considered a good “click through rate”, that a good ratio of clicks per impressions. But clicks don’t equal sales. In fact only a subset of people that click on an ad will actually buy. This ratio between clicking and buying is known as your “conversion rate”. That is, the rate you convert a browser into a buyer. According to Mastering AMS Ads, it’s quite common for a given book to require 30 clicks before making a sale. In the land of advertising, in a process invented by the founders of Google, ad clicks are auctioned off. When you create an ad, you tell Amazon how the maximum you will pay for a click. Other authors and publishers put in their bids, and when Amazon is deciding to respond to a buyer’s book search, they conduct a mini-auction and decide whose ad to show. If the buyer clicks the ad, you pay for that click. Imagine you put together an ad and were bidding $0.20 for each click. If it takes 30 clicks to make a sale, then you can easily calculate the total cost. Multiply your per-click cost by total number of clicks and you arrive at $0.20/click x 30 clicks => $6. $6 for one sale?!? What if you’re book is listed for $3.99? According to Amazon’s royalty rates, selling that title will only pocket you about $2.79. Subtract the $6 ad spend, and you’re looking at a loss of $3.21. Yikes! And here we see the reason so many throw in the towel so quickly on Amazon ads. Did you know how to work that math? Were you aware that this ad campaign would fail before it got started? Now that you know the secret formula, we can work our way toward a PROFITABLE ad campaign. For starters, listing a book at $3.99 is doomed to fail. At least it stacks the odds against you. Why? Because there is little room to run any ads. According to Brian Meeks, a conversion rate of 1 sale per 10 clicks (or 1:10) is AWESOME! Translation: if you had the same bid of $0.20 per click as before, 10 clicks would only cost $2.00. Spending $2.00 to gross $2.71 doesn’t leave much room for any profit or fluctuations in your conversion rate. One of the biggest lessons I learned from Brian Meeks’ tome was that you should actually RAISE the price of your book so you have a fighting chance to not only pay for the ads but also walk away with a little money. Thus, I pushed an experimental title’s price from $3.99 to $5.99. Won’t raising prices kill all your sales? If you test things out, you’ll find that consumers don’t care a whole lot about $3.99 vs. $5.99. If you move toward $7.99 or higher, sales may start to shift. But a couple bucks change in pricing seems to have little affect on purchase rates. So let’s push that book’s price up to $5.99. At $5.99, if we still have that 1 sale per 30 click ratio, we’d be breaking even before Amazon’s take. So what do we do??? One option is to decrease your bid. Cut your bid in half to $0.10 per click and then your 1 in 30 conversion rate would only cost $3.00 to make a sale. Since that higher price would yield $4.19, you’re looking at netting $1.19 per sale. PROFIT! It can’t be that simple, right? Everyone would be doing it! Yes and no. By decreasing your bid to $0.10, there’s a chance your ad would be beat out on almost every auction and never get shown. This would result in few to zero impressions. An ad that never shows is a signal for a new ad. Or something else. If you caught on to my hint that cutting your bid per click in half is NOT the answer, you’re right. That pesky 1 in 30 conversion rate is what’s holding us back. When people make the final decision to buy, research shows that the book’s description is the most critical factor. This is fancy speak saying if you’re conversion ratio is 1 sale every 20-30 clicks, you should seriously consider rewriting it. If you have a book that converts 10 clicks into a sale, you are now sizzling. Going back to the numbers, if you use that original bid of $0.20 per click but now only need 10 clicks to make a sale, you’re talking $2.00 to close the deal. With a price point of $5.99 (leaving you about $4.19 for you), you’re now looking at a profit of $2.19 when the dust settles. While $2 doesn’t sound like enough to even buy a Cherry Coke, remember that the visibility these ads will generate for your book can result in MANY sales. If you made less than $50 over the past six months, the thought of selling 20 copies this month at a tidy profit of $2.19 each must sound incredibly exciting! If you’ve tried advertising and found it a terrible experience, hopefully I’ve given you reason to revisit it. If you have been on the fence about advertising, worried it’s too hard, hopefully you’ll reconsider it. Stay tuned for my next installment on how to sell your book.